American Road explores the historical, musical and literary mystiques of the road – especially of veering off the beaten track - in American lore: Westward expansion, Dust Bowl treks, freight train hobos, post-war suburbanization and the Beat critique of it, hitchhikers, the upheavals of the 1960s, and the latest generation of backpackers at home and abroad. 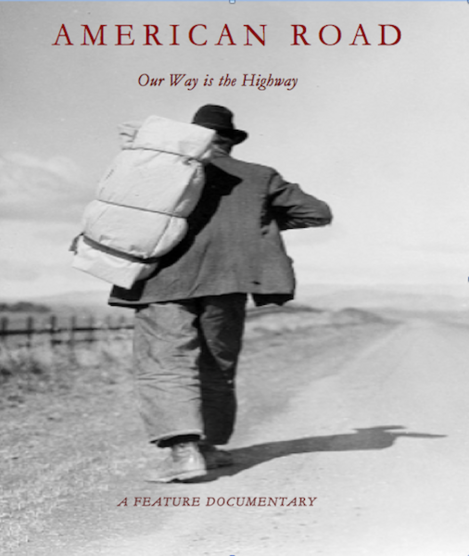 The American road - from John Ford movie iconography to rent-a-car sojourns - has generated a Niagra of poetry, art, music, novels, theater and cinema. The thematic touchstone is Walt Whitman's bold egalitarian ideal of the ‘open road' Whitman inspired Woody Guthrie's legendary hard-traveling in the 1930s, the purposeful meanderings of Jack Kerouac through the affluent but edgy early post-war years, and the adventures and misadventures of much of the 1960s generation and their contemporary successors. Whitman's open road, said D. H. Lawrence, was 'the bravest doctrine man ever proposed to himself.' Here is a deep examination of that profoundly democratic doctrine in action. This memorable documentary ultimately probes the meaning of what it is to be an American, not just a wayfarer.